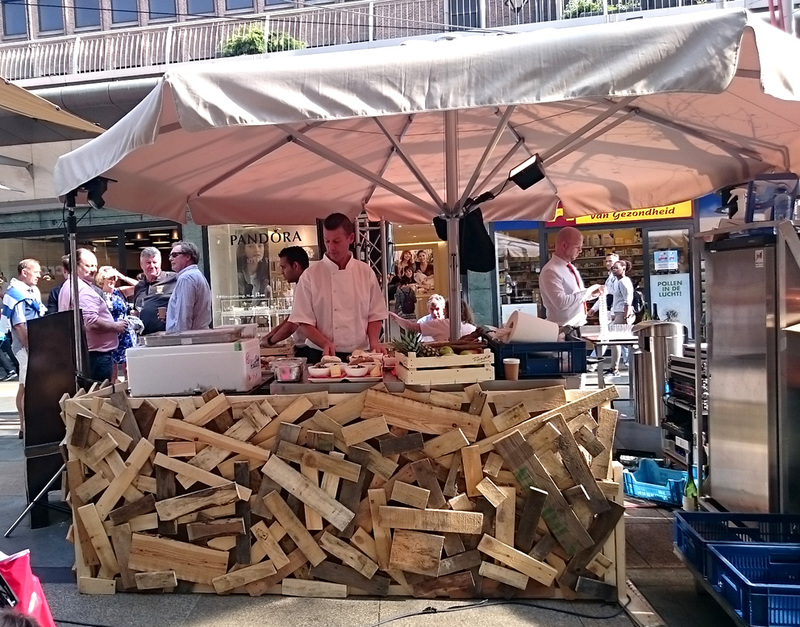 Stadsfestival Op z’n Rotterdams is a festival with seven hotspots full of food, cultural events, art and music in the city center of Rotterdam. 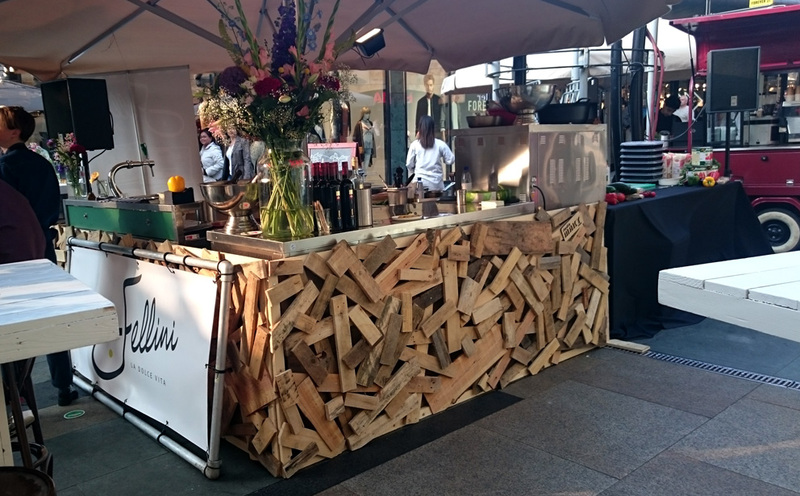 For the festival we were asked to design and build a wooden construction to give four bar stands a nice natural touch. Each stands has a cooking area where several master chefs prepared wonderful meals at unexpected locations. For an authentic look we used a lot of discarded wooden pallets for this project, as an result the wooden bars have an own unique look with each showing different colors of wood. It’s inspired by our wooden ‘Urban Picnic Nest’ installation. 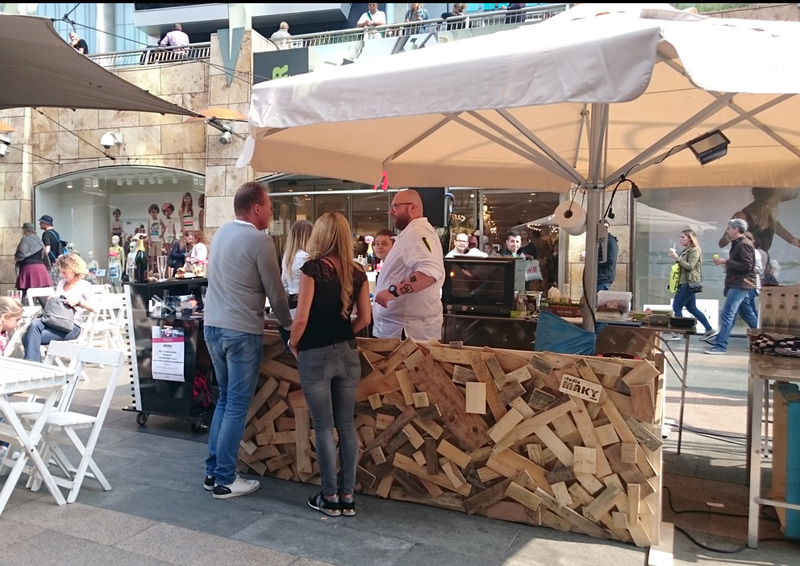 The four wooden bars were standing at the temporarily ‘Kookgoot’, a wordplay of ‘cooking channel’ instead of the ‘shopping channel’, nickname for the shopping area Beurs/Koopgoot. 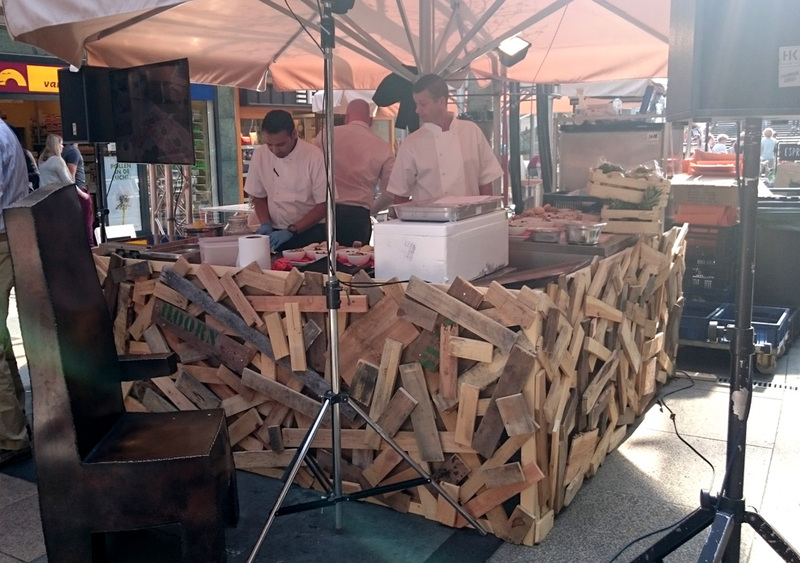 The wooden bars are also going to be used for the festival Rotterdamse Kost in the Euromast park in September 2016.